His vocal gift was discovered at the early age of five when be began singing at Mt. Zion Missionary Baptist Church where his grandfather, the Rev. J.A. Thrower was the pastor. Quan Howell, a native of Columbus Ohio, is the son of Kathy (Howell) Harper and Joseph Thrower. His vocal gift was discovered at the early age of five when be began singing at Mt. Zion Missionary Baptist Church where his grandfather, the Rev. J.A. Thrower was the pastor. Encouraged by his family, especially his late aunt, Peggy Ann Garner, and his Sunday School Teacher, Carolyn Holmes he continued to sing and developed a love for hymns. Managed by his late Grandfather, Quan spent his early years singing at local churches and with two local groups ‘The James Cleveland Youth Chapter’ and ‘The Allen Family.’ At the age of fourteen, he recorded his first song, ‘More Like Jesus’ with Ernest Carter. When he was sixteen, he decided to leave his family church and join, ‘Bibleway Church of our Lord Jesus Christ ‘under the pastorship of Bishop Latta. It was there Quan received the Baptism of the Holy Spirit. During his teenage years Quan sang with the ‘Resurrection Mass Choir’, ‘The Revival Choir’ and formed his own group, ‘Quan Howell Family and Friends’. He also was the first place winner of several talent shows. He graduated from Linden McKinley High School and Fort Hayes Performing Arts School where he majored in music theory, jazz, piano, and show tunes. Dreaming of a gospel musical career, he moved to Los Angeles only to return to Columbus a year later. He received his first professional break in 1995 when Darlene Furtel heard his demo and gave it to Assistant Director Billy Steele of the group, ‘Sounds of Blackness’. It was during their college tour in Columbus that directors, Gary Hines, Billy Steele, and other group members encouraged him to travel to Minneapolis and audition with famous producers Jimmy Jam and Terry Lewis for the lead vocal in the group. 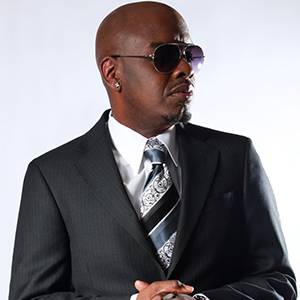 As the new lead singer of the, ‘Sounds of Blackness,’ Quan and the group recorded several hit songs, ‘Hold on Change is Comin,’ ‘Spirit,’ and ‘God Cares.’ This opened up many opportunities for him to record and do background work with; Ann Nesby, Rod Stewart, Johnny Gill, New Edition, Salt ‘n’Pepa, Kirk Franklin, Tamela Mann and many other famous artist. Also, he had the pleasure of recording movie soundtracks for, ‘How Stella Got Her Groove Back,’ ‘Down in the Delta,’ ‘The Apostle’ and for acclaimed movie producers, Andrew Lloyd Weber and Walt Disney. His desire to become an independent Christian artist gave birth to another new opportunity. In 2005 Quan Howell produced his first musical project, “Simple Christmas” and several followed behind….Prophetess Taketa Williams “The Table Is Fixed; and his first freshman project, “Things Will Get Better”. He has made numerous Television appearances on shows such as BET’s Sunday Best Season 6, Lifetime Network reality show “Preach”, TBN’s Praise The Lord and World Harvest’s 120 Live with Pastor Rod Parsley. So many opportunities that have come and Quan still has the energy and excitement to finish what God has allowed him to do.